Minneapolis city leaders will celebrate the start of construction at downtown’s Peavey Plaza Monday. The project will revitalize the sunken plaza built nearly 45 years ago, while also making it more accessible. With construction starting Monday afternoon, Peavey Plaza is expected to be completed in May 2019. One of the biggest problems facing the city and the project’s design team was bringing the plaza up to compliance with the Americans with Disabilities Act, while also preserving the original design. The renovation includes the restoration of the plaza’s water features, which have run dry for years. After years of sitting empty, the reflecting basin will also be filled with water. 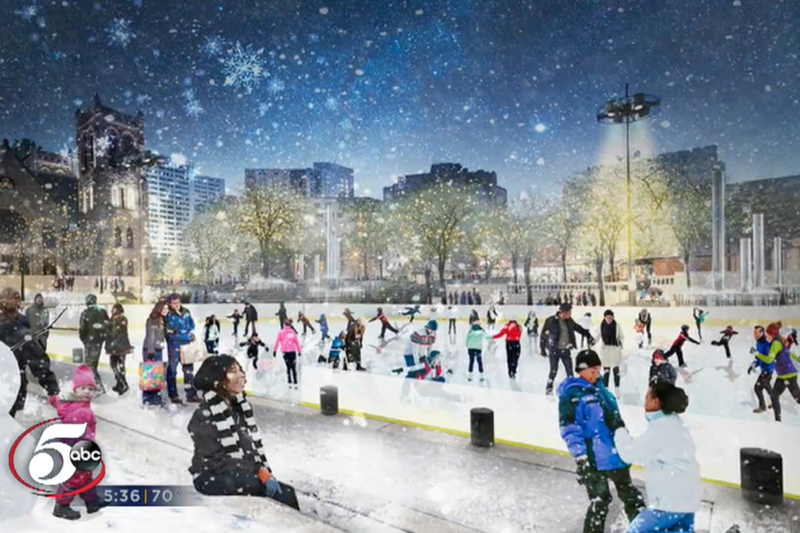 The plans also include new landscaping, public art and an ice skating park in winter, complete with a warming house. Mayor Jacob Frey and other city leaders will hold a ceremony Monday afternoon at 1 p.m.